What do you think is the reasoning behind The Jockey Club prohibiting registration of foals conceived by artificial insemination? Tradition: The Jockey Club is a conservative organization that is wary of change. In this, it reflects the attitude of most Thoroughbred industry professionals who see the sport as one of tradition and heritage that should not be changed without compelling proof that change would bring improvement. Genetic diversity: The likely result of allowing AI is that only the most popular stallions would be allowed to reproduce. 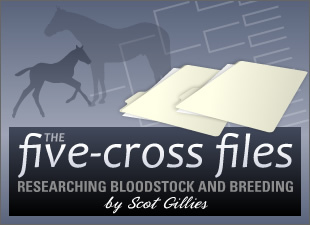 Over time, the already genetically-limited Thoroughbred breed would suffer the loss of its extant diversifying bloodlines. The Jockey Club is entrusted with the task of safeguarding the breed and will not risk introducing practices that are not only theoretically harmful, but in fact have proven to be deleterious to other breeds (specifically, the American Quarter Horse and the Standardbred breeds). Economics: Allowing AI (and assuming larger books of mares covered for a reduced number of stallions) would contribute to the loss of value of an individual stud cover. A live cover is subject to market economics because it is a limited commodity whose price depends, at least in part, on demand. Conversely, AI makes the product nearly limitless, logically reducing its value. Similarly, resulting foals would be devalued because of abundance - a situation that Thoroughbred sales companies wish to avoid. Further, allowing AI would alter the infrastructure of Thoroughbred breeding by reducing the need for transport services, off-site boarding of mares, small stallion farms, and myriad other segments of the Thoroughbred breeding industry. Legality: Once the train is in motion, there's no bringing it back to the station. There is no realistic way to "test" the practice without opening up The Jockey Club's rules to lawsuits and infighting. This is the "slippery slope" argument: if a test by The Jockey Club were to allow AI for intercontinental matings, for example, breeders on the opposite coasts of the U.S. would argue that the test is discriminatory and arbitrary, and The Jockey Club would be forced to defend its case legally, with a likely outcome that by creating an exception to its rules, it would be required by the courts to drop any limitations and open the system entirely. If The Jockey Club opened AI to the industry, breeders would argue that the practice was stallion-centric and would fight for the ability to increase foal production from mares as well (by embryo transfer, for example), and the next lawsuit would argue for legalized cloning. Finally, The (American) Jockey Club's registration policies follow the standards of other Thoroughbred stud books internationally. It does not have sole discretion to alter registration rules; doing so would create the equivalent of a constitutional crisis for the breed internationally. Do you think they will ever accept such breeding technologies?